There’s possibly fewer things as despairing in our youth justice system than witnessing a young future handed over to an overtaxed and overstressed mental health system to figure out. Thankfully, it happens relatively rarely, but it did happen this week to J.
He’s a now 18-year-old man who, despite signs of some hope in recent months, was deemed unfit to stand trial on some [relatively minor] charges and turned over to await disposition as to his treatment by the Criminal Code Review Board. As his lawyer put it: “It is a life-altering verdict to him.” And it’s true. Will he end up in a hospital or on the street? It’s unknown. 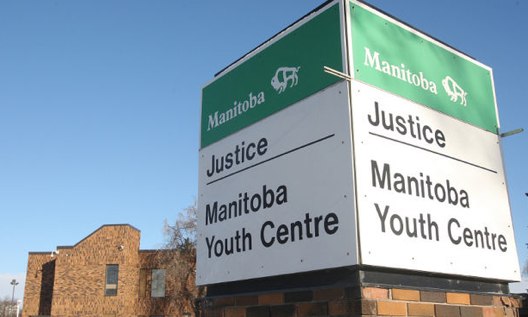 Winnipeg Child and Family Services is involved and keen to find him assistance wherever it can, but an agency representative was noticeably absent at the Manitoba Youth Centre this week when Judge Sandra Chapman found J unfit and ordered him over to the CCRB. It was surprising because CFS had attended court hearings in the past out of a sincere wish to see him get help, Chapman was told. J first came to the attention of police and the system on Jan. 9, 2012, when he and his mother got into a fight inside their home. High on drugs, he became enraged to the point of threatening her. “I don’t care if you guys call the cops — I’ll take you guys all out and kill you,” J said, just before retreating to his bedroom. Police arrive at the mom’s bidding and find him in his bedroom, high on the anxiety drug Restoril, mellow from marijuana and packing a small kitchen knife. He’s taken to the Manitoba Youth Centre. He gets bail. Fast forward to Jan. 27, 2013: Police find him at 1:20 a.m. reeking of booze on McPhillips Street. Again, he’s a direct lockup at the MYC, then bailed out shortly after. The final shot at release he saw ended around 11:50 p.m. March 3, while he’s now staying at a CFS “shelter” which also doubles as a hotel on Pembina Highway. J became so angry with his CFS watcher he began assaulting him, then proceeded to take a chair outside and hurl it at the social worker’s car several times. Nothing was broken and the worker was uninjured. He was again detained at the youth centre. And then the psychological assessments begin. Over the coming months, J would have three mental-health assessments conducted by doctors, two of which were tendered in court. The third was excluded because it didn’t deal with mental fitness-related issues. After the first, it was considered he was “just being difficult,” and a “defiant young man.” One doctor found he “could be fit” at some time, but when, exactly, was naturally unknown. Time marched on. Months later, J’s advocate told Chapman this week, it was clear the young man was “decompensating” — deteriorating — possibly because he was being held in a jail and had been there for a couple of months. In one example, the forensic psychiatrist said J would “stare (him) down.” The belief was J was now “presently actively psychotic” — a kid of 17 at that point who admitted he thought he could tolerate life inside Lakewood, the maximum-security youth facility in Manitoba. There, inmates receive an hour of recreational time each day. The rest is spent in a locked room and under constant observation. J said ‘no’ many, many times, when Chapman asked him the following: Do you know what’s happening here? Do you know what your lawyer is? Do you know what my role is? Everyone — Crown, defence and Chapman — expressed reluctance at putting such a young man into “the system” [their words] on such minor charges. But there was little else to do. Everyone involved hopes he’ll find his way to a hospital and adequate treatment from doctors. He was to be released as soon as practicable from the MYC. But given some of the stories that have come to light about the mental health regime in Manitoba (and Canada, to be honest) of late, I can’t help but wonder if J is now simply to be cut adrift, possibly lost for good. Maybe institutionalized, possibly to be released and wind up on the street. I note grimly that immediately, the court ordered the review board was to receive an extension of the time it is required to conduct a disposition hearing for J — to 90 from 45 days. The ink’s not even dry on the paperwork, but already exceptions are being made. And they’re not to accommodate J, but to accommodate the system. And it’s sad. What she meant, I believe: Jails are for criminals, suspected and otherwise. “Psychiatric beds” are for sick people who need treatment, not incarceration. As well, two beds at the above-mentioned Lakewood max facility are also designated for psychiatric-related inmates, court heard. On the subject of life-altering verdicts- wouldn’t it be useful and informative to conduct long term studies of before and after contrasts of pro-social vs. antisocial attitudes and behaviours following judicial decisions? We might end up with a justice system that comes closer to realizing its mandate. Evidence-based practices make sense. Our current rate of recidivism and history of poor outcomes do not. Perhaps more integration of the systems (rather than choosing one of an array of dysfunctional ones) would lead to better outcomes. Perhaps a focus on integration rather than “re-integration” is more appropriate. Even the concept of “rehabilitation” suggests that there is a history of something to be reclaimed. As for “beds” (like housing)- wouldn’t it be wonderful if all of us had one that was in a safe environment appropriate to our individual and social needs? Physiological and psychological needs being met is prerequisite to acceptable social integration. Too many of us really don’t have much realistic hope.